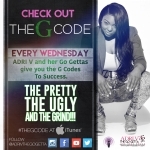 Listen to The G Code Podcast Episode 53 as ADRI.V shares why you don’t need to keep up with the Jones! In her words, The Hell With The Jones! 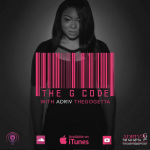 In episode 53 ADRI.V talks social media and why you don’t need to get caught up on what someone else is doing via social media. She encourages you to put the blinders on and run your own race. What anyone does to the left of you or to the right of you don’t matter. Stick to your pace and run your own race!